Miss International 2017 grand coronation night is schedule to happen on Tuesday night, November 14, 2017. Miss International 2017 will be the 57th edition of the Miss International pageant. Coronation night will take place at the Tokyo Dome City Hall in Japan. More than 70 delegates from around the world will compete for the coveted Miss International tittle. Miss International 2016 Kylie Verzosa from the Philippines will crown her successor at the end of the event. 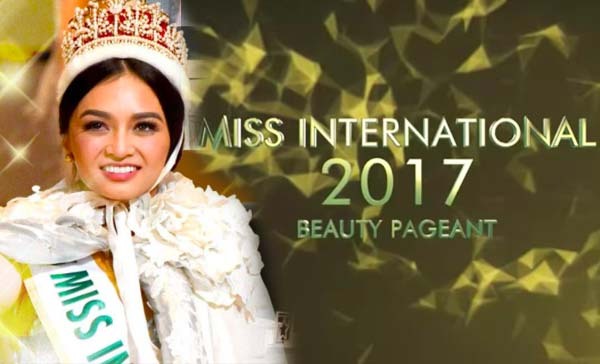 Where to watch Miss International 2017 beauty pageant? Miss International 2017 will be broadcast via Panamericana Television, NHK, TV Tokyo, RepretelTeletica, El Trece, TVesVenezolana De Television, Chilevision and Señal ColombiaEcuador TV at 3:00 PM GMT. The event is also available to watch online via the official live streaming channel on YouTube, Ustream and PlayStation Network.